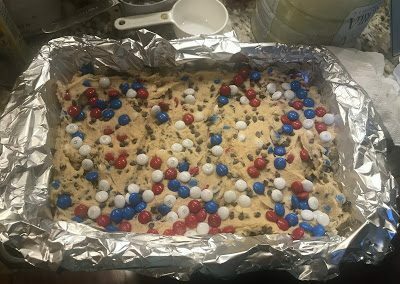 Preheat oven to 350 degrees F. Line a 9×13 baking dish with foil, leave some overhang to make removal easier. Spray foil generously with nonstick cooking spray. 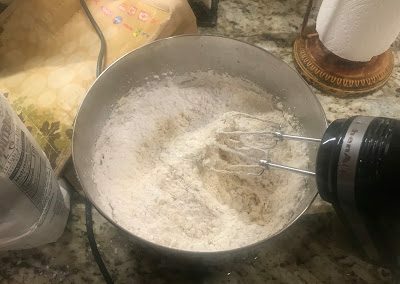 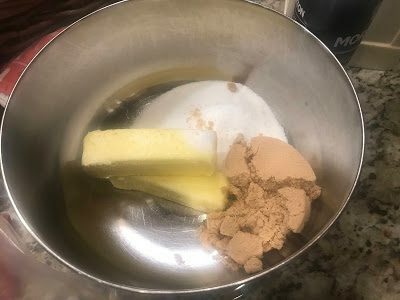 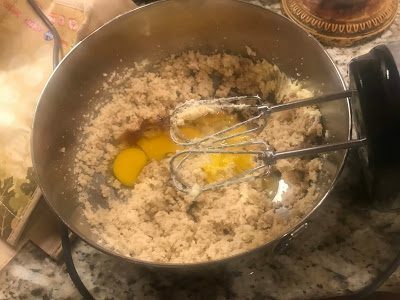 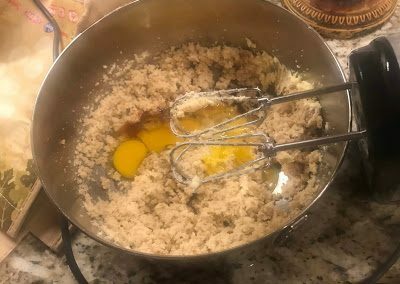 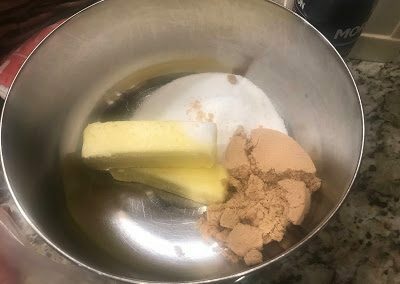 In the bowl beat butter, granulated sugar, and brown sugar together until fluffy. 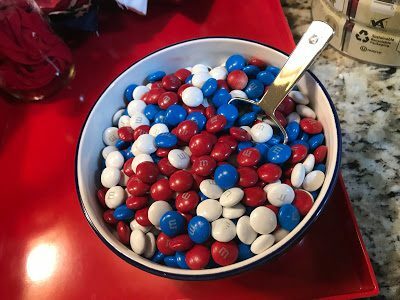 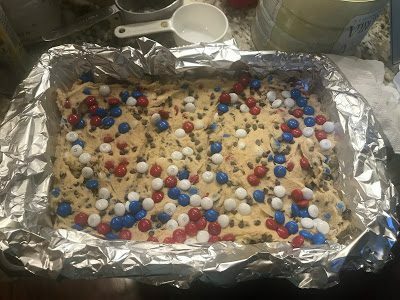 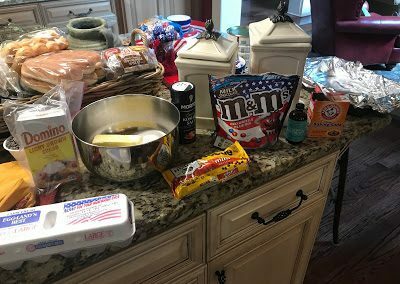 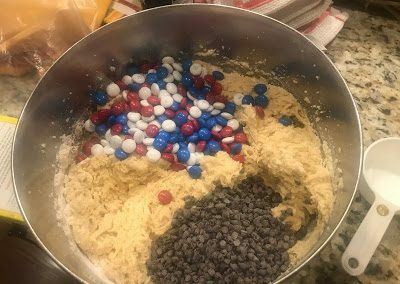 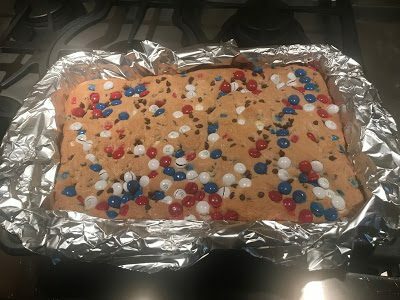 Add M&amp;M’s and mini chocolate chips and give a final stir, reserving some M&amp;M’s and mini chocolate chips for topping cookie bars. 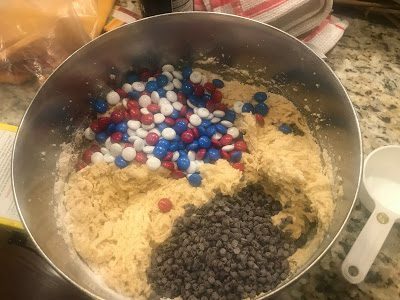 Press additional M&amp;M’S and mini chocolate chips into top of cookie dough.